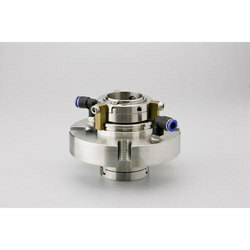 The Double Mechanical Seal provided by us is acclaimed for its sturdiness and easy installation process. Double acting seal are available here. 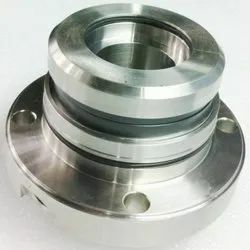 Item Code: MG1 Widely used in the plumbing industry, the offered range of Double Mechanical Seals are known to be amongst the finest that are available in the market. Manufactured in accordance with the set industry norms and guidelines, its quality never collapses. In addition to this, the offered range marked at the best rate possible and has a superior finishing, sturdiness and durability. - Temperature :- 40-660 Deg. - Pressure :- 0- 210 kg/sq.cm. Banking on our rich industrial knowledge, we are highly instrumental in presenting a wide spectrum of Pressure Screen Seals. These products are specially designed for gyroclean light reject rotary cleaner in pulp and paper industries. Our range are highly suitable for use in pressure screens in pulp and paper industries.